From time-to-time, when not dashing up and down hills and mountains, and especially at this time of year when many of the paths at higher altitudes are treacherous due to snow and, particularly, ice, I find that an easier, flatter walk such as the Three Bells Trail (in Slovene: Pot treh zvonov) is the perfect choice! 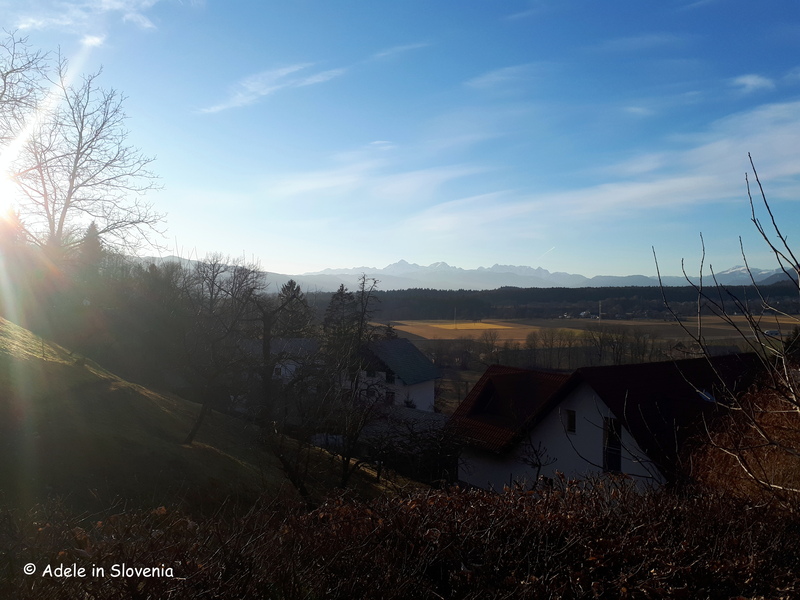 The mainly flat trail leads along quiet traffic-free country lanes and paths and through the Udin boršt woods and offers numerous beautiful viewpoints and places to rest and enjoy the sights and sounds of nature along the way. 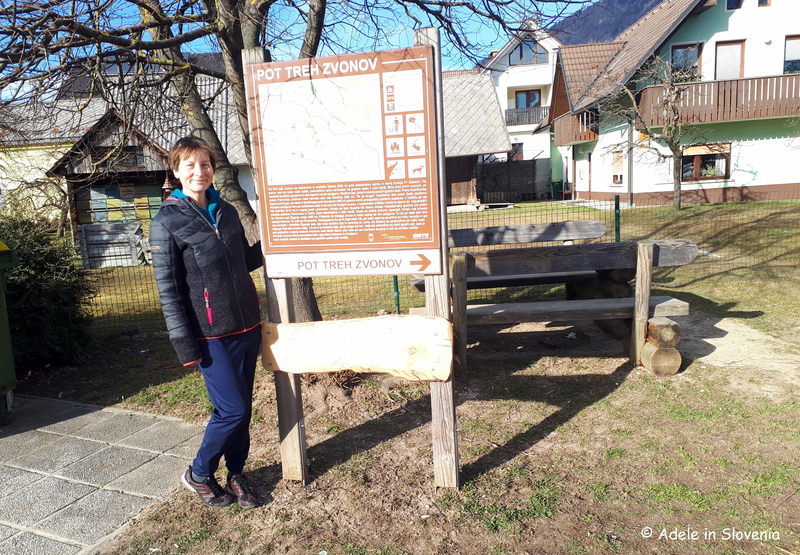 Since the trail is circular, you can start anywhere really; I chose to begin in the village of Sebenje where there is an information board about the trail. The trail is well marked throughout so once you find the first sign showing three green bells, you can just follow them and can’t really go wrong. 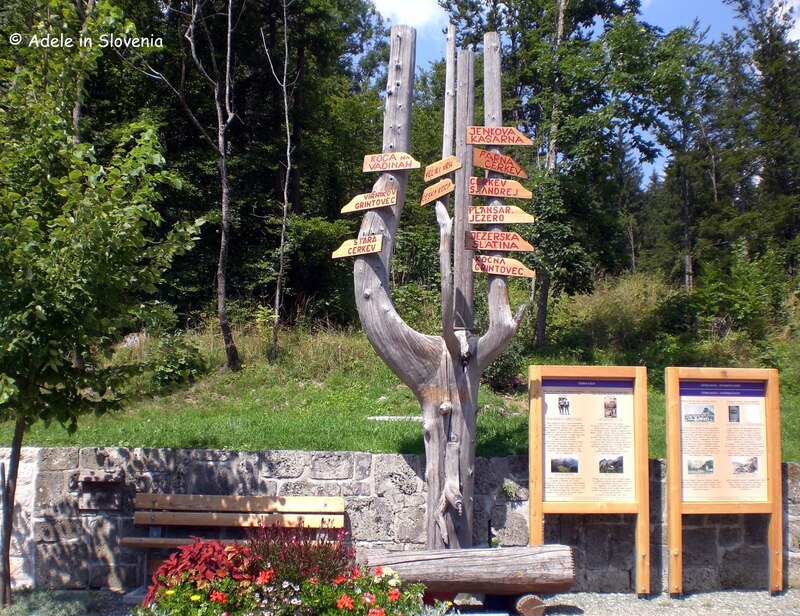 However, if you want more information and like having a map in hand, then you can pick up a copy of the trail brochure at the Tržič Tourist Information Centre or download the brochure here. 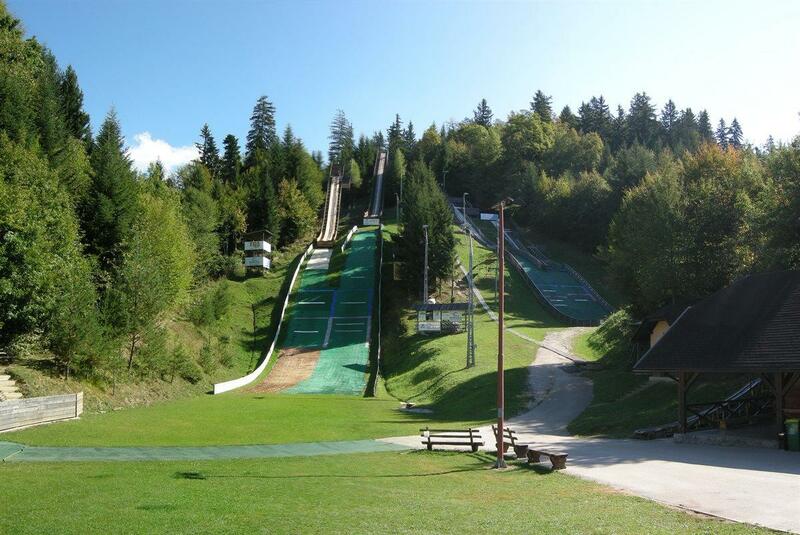 Set off towards the newly renovated ski jump centre in Sebenje (in Slovene: skakalni center). 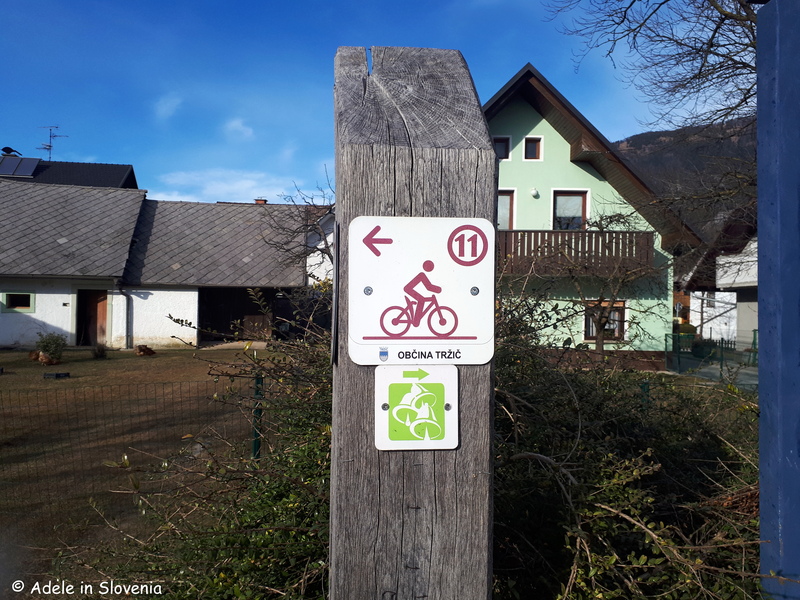 Then after a short while the tarmac road becomes a gravel path as you enter the Udin boršt woods where you will find the first of 2 trim trails along the way – ideal for a warm-up before heading onward! After leaving the woods the trail leads in the direction of the village of Senično, from where there are wonderful views of Kriška gora (1471m), with its highest point Tolsti vrh (1715m), and neighbouring Storžič (2132m). Before reaching the village, the trail turns right, passes a parachuting practice area, then leads to the hamlet of Novake. 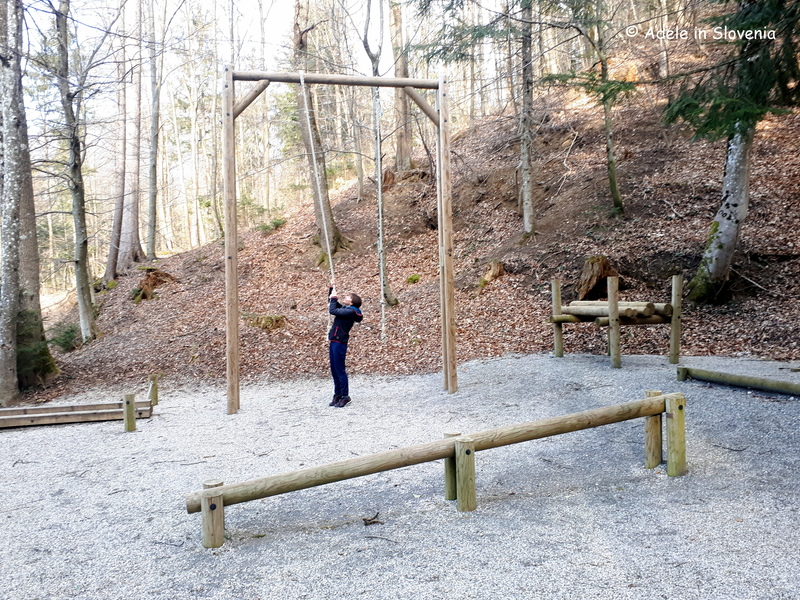 Soon you reach one of the three small bells (the first, second or third depending on where you start the trail!). Shortly after the trail re-enters the woods, where it leads gently uphill, before reaching the next bell and a pleasant rest area. 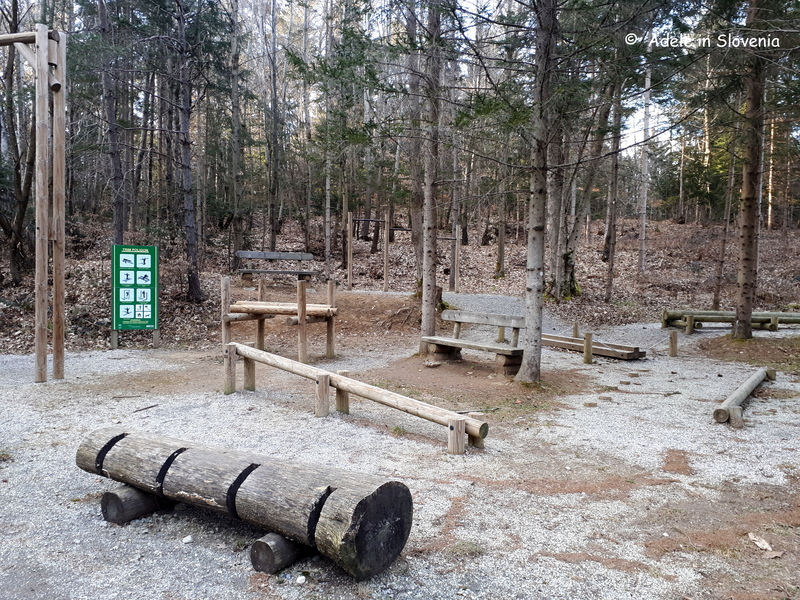 Shortly before exiting the woods you pass another trim trail – another chance for some extra fitness! 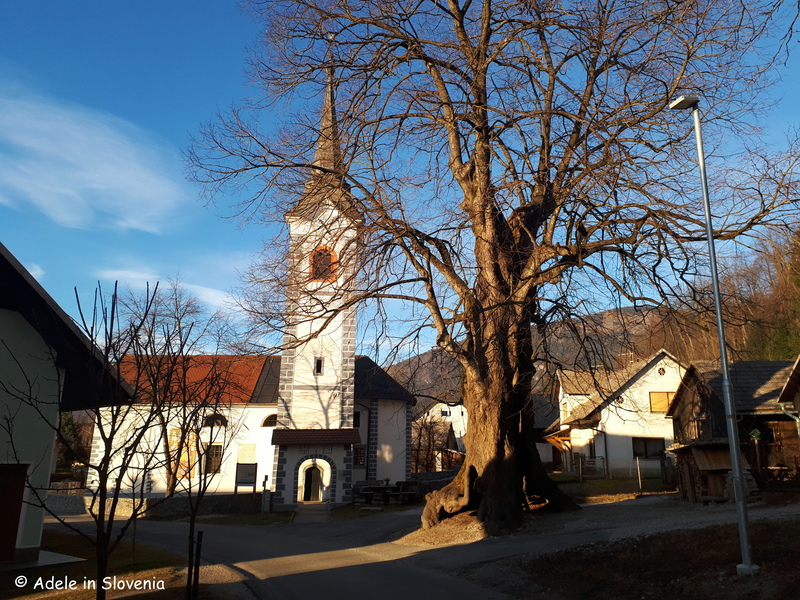 Then, you emerge into the village of Žiganja vas, whose inhabitants came up with the idea for the Three Bells Trail at the time when three bells where being replaced in the village church. 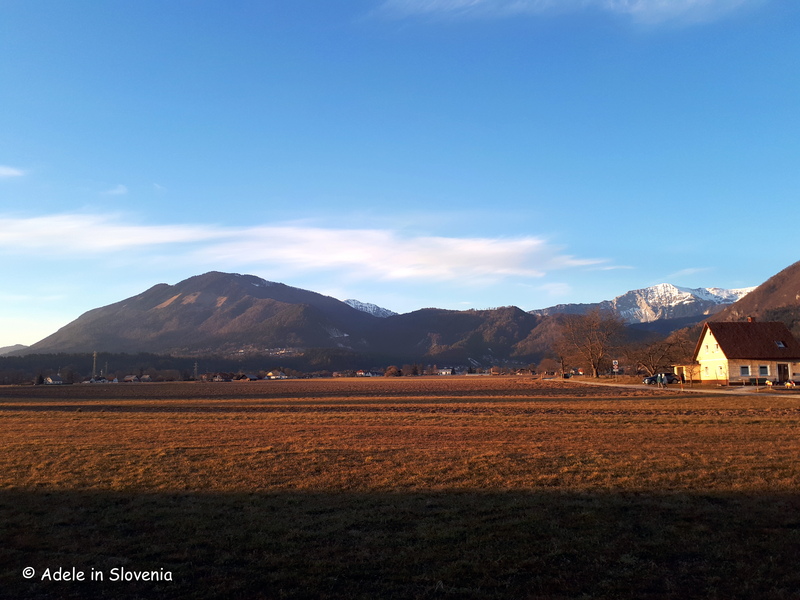 …and on the other towards the Karavanke mountains that form a natural border between Slovenia and Austria. 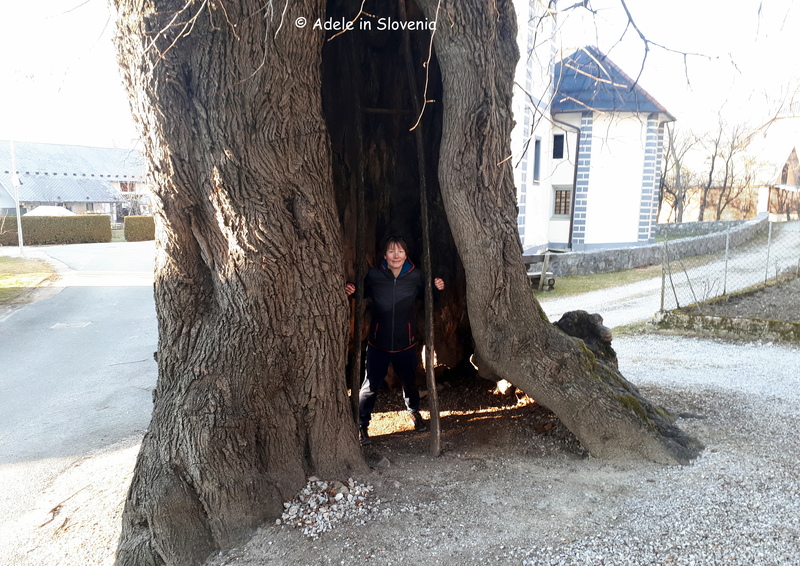 In the centre of Žiganja vas, adjacent to St. Ulrich’s church, stands the giant village linden tree, which is so huge, and in places hollow, you can actually go inside it – and who could resist such an opportunity! The trail then returns back to Sebenje completing the 9km-long circular route. Much of the route is also suitable for cycling (mountain or trekking bike). You should allow around 2 hours, more if you make frequent stops, and it is a truly pleasant way to while away a sunny winter’s afternoon! 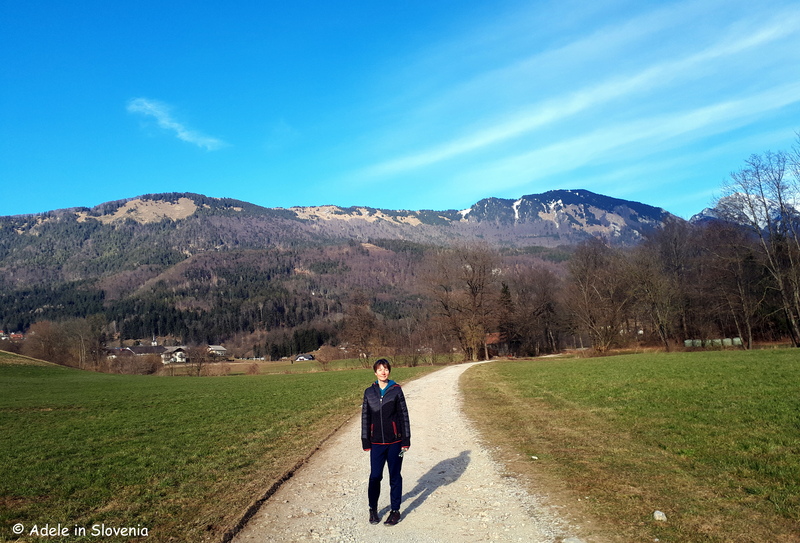 You can find out more about the other walking and hiking trails in the Tržič area here, and, of course, stay tuned to my blog for more ideas and inspiration to come too! The village of Jezersko lies at an altitude of 906 metres above sea-level at the foot of the Kamnik-Savinja Alps and the Karavanke range. 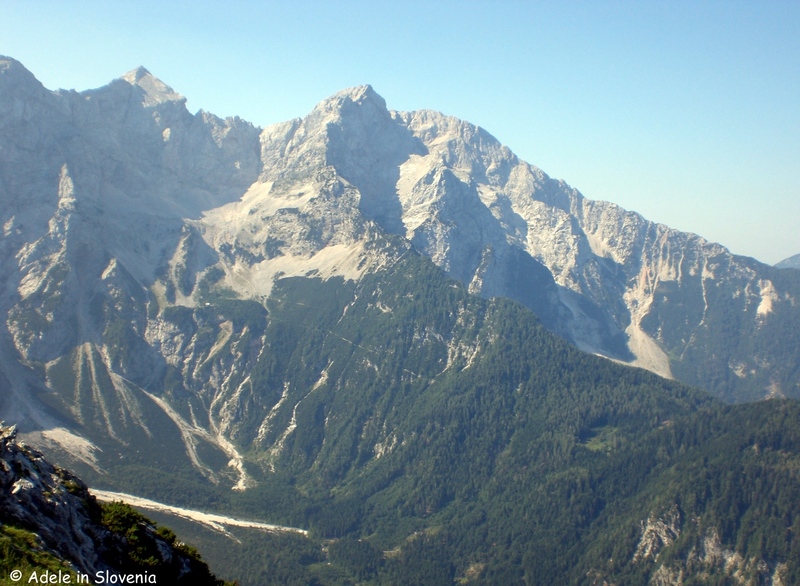 It is Slovenia’s first, and it could be said ‘best’, true mountaineering village. As befits somewhere with such pristine nature, it is spotlessly clean, all the hiking trails and attractions are very well marked, and a sense of peace and tranquility reigns over the entire valley. What you won’t find in Jezersko are hordes of tourists, tacky souvenir shops, and over-priced eateries etc., instead you will find scattered homesteads and farms, a handful of eateries serving local food, friendly locals and ‘to-die-for’ views as far as the eye can see. What I personally find so appealing about Jezersko, apart from the peace and great hiking, is that although the area, understandably, has a vision in terms of tourism, that vision is exactly what it should be i.e. to remain true to what it is, to avoid mass tourism, to attract the type of people who appreciate Jezersko for its pure simplicity. And that, in my book, is something to be applauded, and is in pleasant contrast to many of today’s tourist traps. Further proof that Jezersko is a great mountaineering village, is its entry this year into the Bergsteiger Dorfer Association of Mountain Villages. 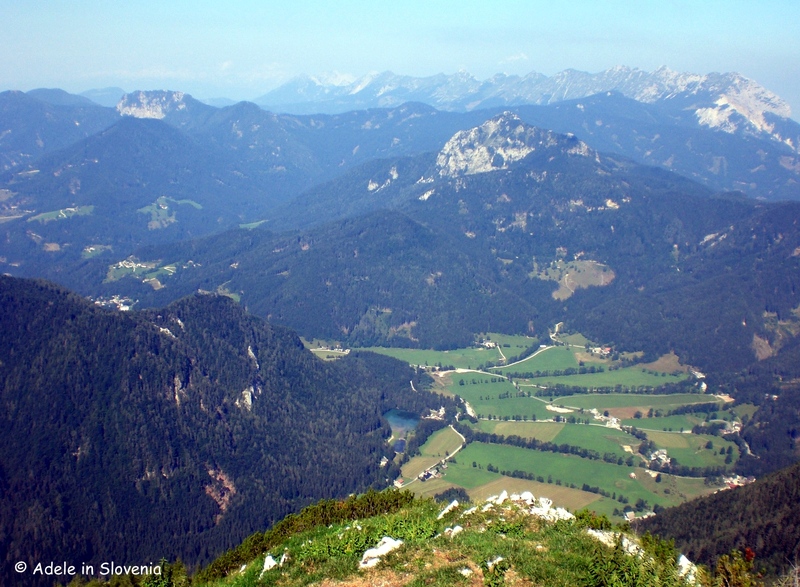 With the exception of Jezersko, all the other villages are in well-known mountainous areas, such as Bavaria and Tyrol. 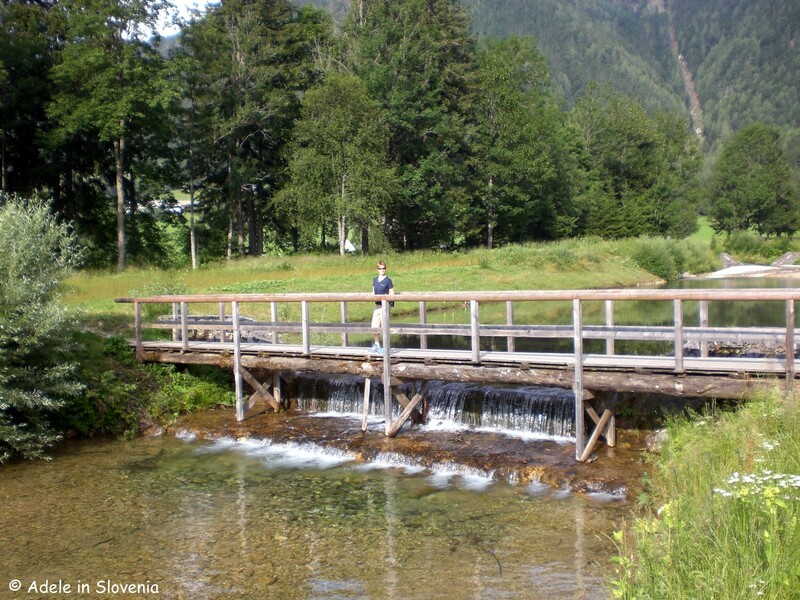 If walking and hiking is your thing, then in Jezersko there is something to suit all levels; 2 mountain huts, 20kms of easy trails, 10kms of challenging trails; 15kms of very demanding trails, and 1 secured climbing trail. 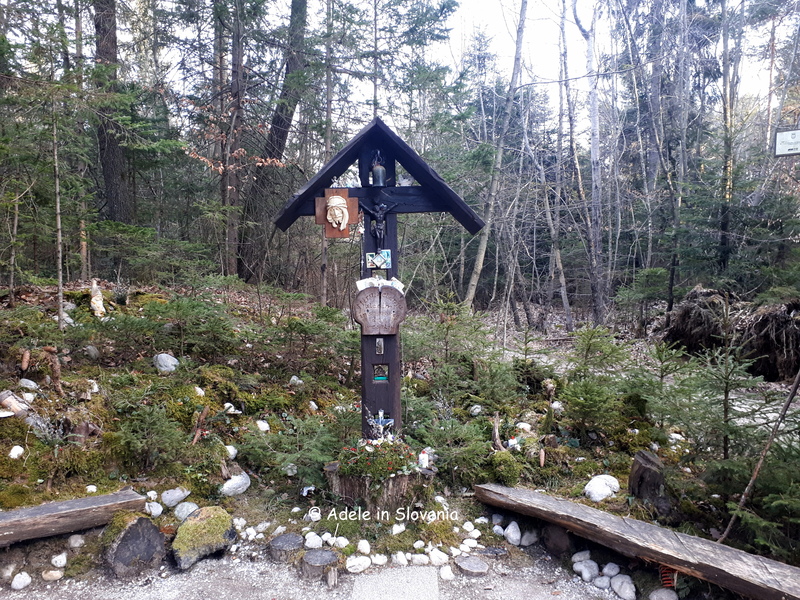 For an easy walk and a good way of getting acquainted with the area, I recommend a walk along the 8km Ravenska kočna Theme Trail. 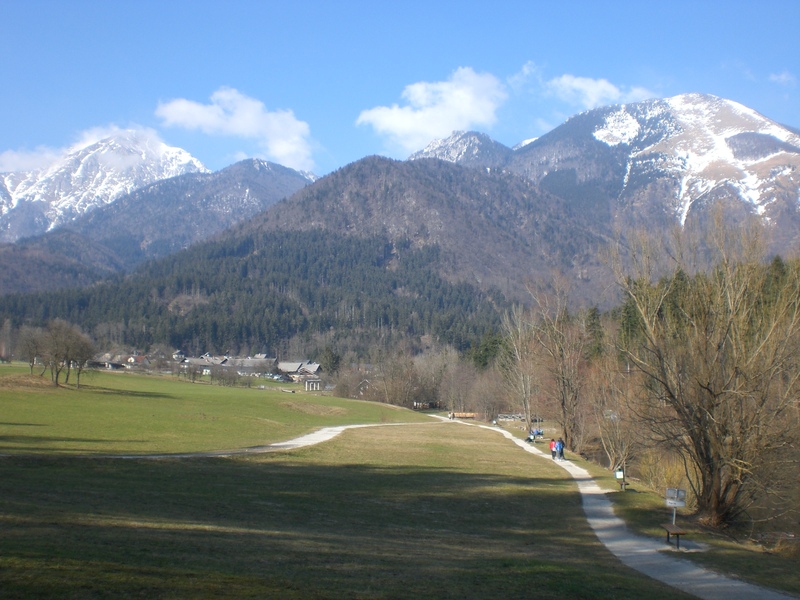 …and continues across meadows with magnificent views of the north faces of the Kamnik-Savinja Alps. Having such excellent natural conditions for alpine sports, Jezersko is home to some of Slovenia’s mountaineering legends. Among them Davo Karničar (seen below), who in 2000 became the first person to ski from the peak of Mt Everest to the base camp, and then, over the next six years to 2006, went on to ski from the highest peaks in all the continents, making him a true legend in the world of alpinism. 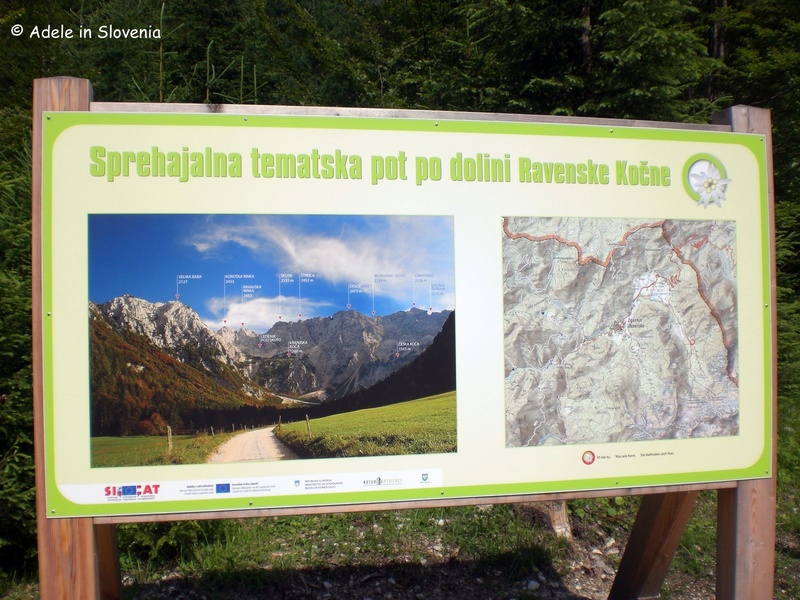 As of this year, the entire Jezersko Mountain Trail is now available in English (translated by me!). The trail can be walked in sections or in its entirety. Many of the hikes involve some difficult sections, so if you love challenging hikes, then this is for you, but you can also pick and choose some of the easier trails, too. 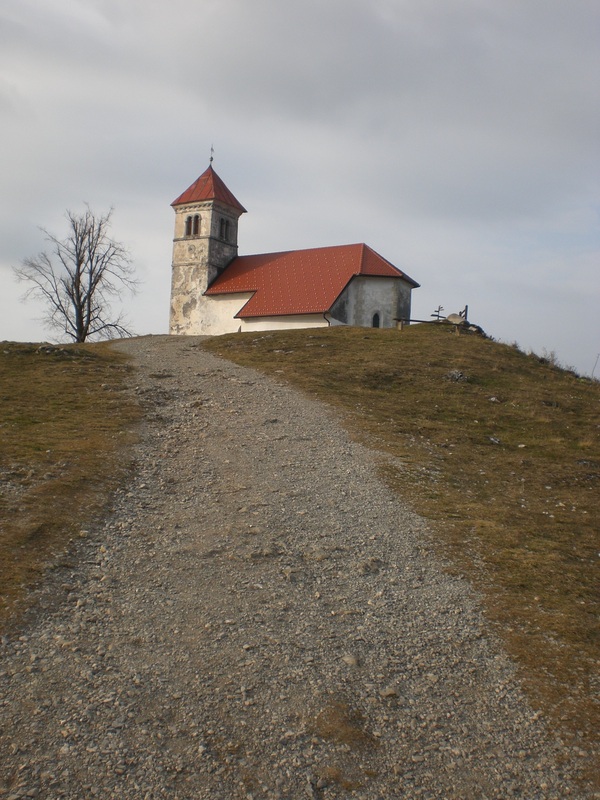 It includes all the greats such as Grintovec, Skuta, Jezerska kočna, Goli vrh, Velika Baba, Storžič, the Frischaufov dom hut, Kranjska and Koroška rinka, and more. 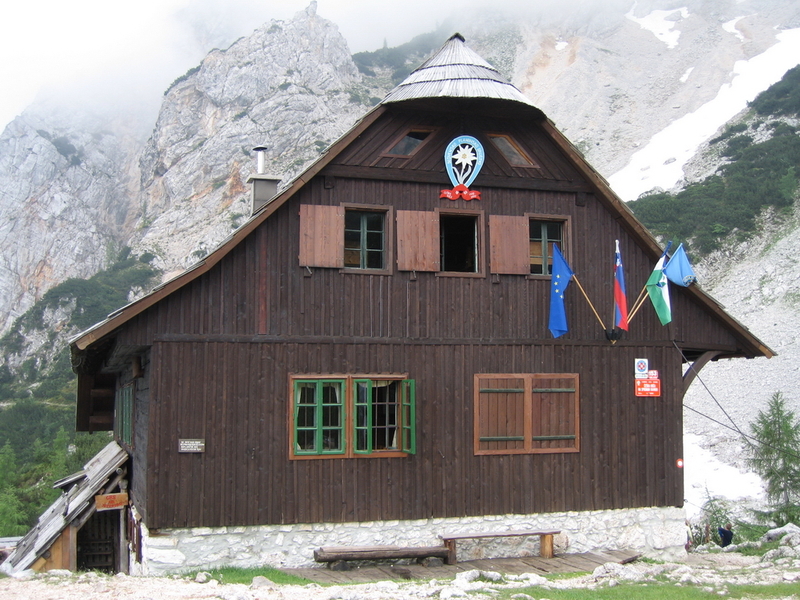 One of the most popular places for many hikers, either as a destination in itself or as a base for more demanding onward tours, is the Češka koca mountain hut (1543m). In addition to its fantastic location, what makes this hut unique is that it was built in 1900 by the Prague-based Czech branch of the Slovene Mountaineering Association, after which the hut was named. It has been renovated many times over the years but has retained its original style. 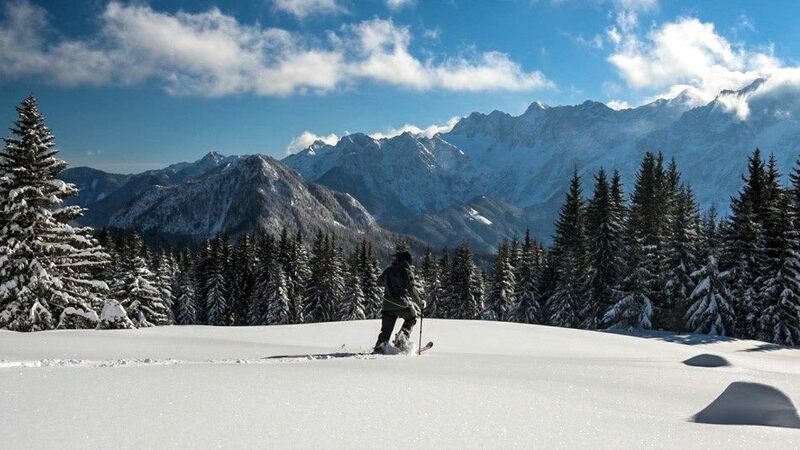 Jezersko is also popular in winter, when cross-country , ski touring and sledging are the activities of choice. 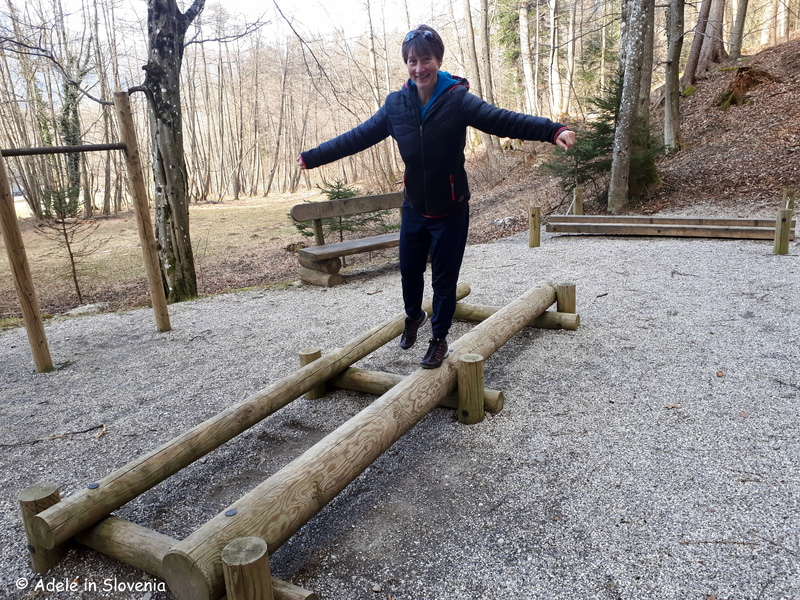 So, this has just been a brief overview of Jezersko, I will be writing more in due course as one blog certainly doesn’t do it justice, but I hope it has at least whetted your appetites! 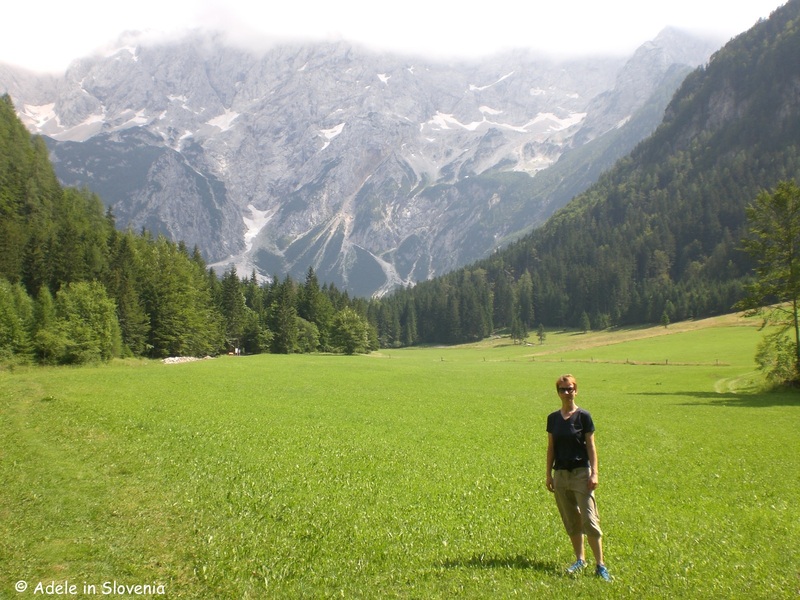 If you love hiking and appreciate nature at it’s best, when considering your (next) trip to Slovenia, consider Jezersko! I must admit to having slightly mixed feelings about such media coverage. 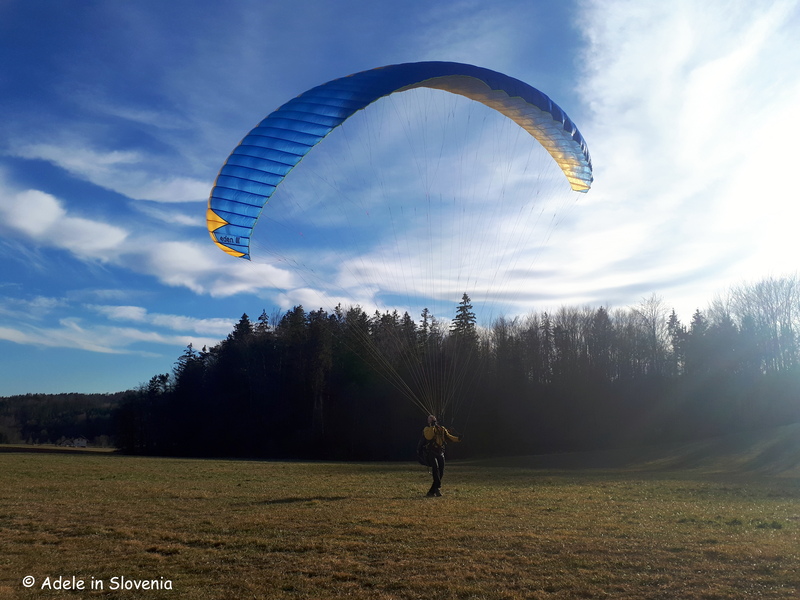 It’s great for Slovenia’s tourist industry and, one hopes, for the economy – which is in dire need of a boost. However, part of me also hopes that the country won’t become too popular and too over-run with tourists so it can remain as beautiful and pristine as it is. It is, of course, inevitable that visitor numbers are growing, and will continue to grow. Lucky then that I know of SO many more places worth visiting too, those hidden corners, away from the tourist hotspots, which part of me wants to keep secret but every so often I’m willing to share!!! This weeks ‘sharing’ is about 2 of Slovenia’s lesser-known lakes that I visited last weekend. Offically the country has 321 bodies of water, though this includes some ‘lakes’ that are intermittent and some of them are barely more than large puddles. 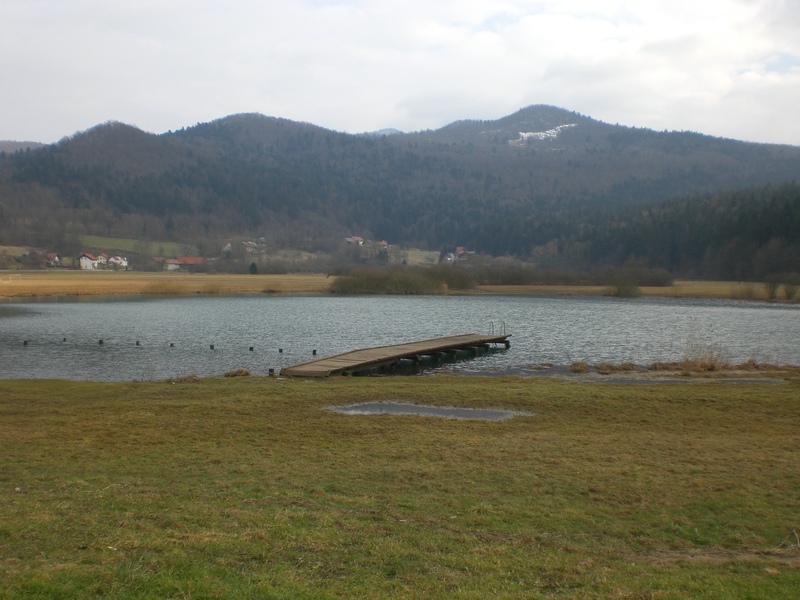 One of these, are least at first sight, is the karst Podpeč Lake (Podpeško jezero) which lies on the outskirts of Ljubljana, in the area of the Ljubljana marshes (Ljubljansko barje) in the village of Jezero near Podpeč – hence the name. Despite its modest size, it is actually classified among the deepest ‘lakes’ in Slovenia due to an underground outflow which leads to a funnel which has, thus far, been explored to a depth of 51 metres. It takes all of 5 minutes to see the lake, though one can take a walk on the road which leads around it, and there are also numerous paths which lead up through the forest including the one I took up to St. Ana’s Church (Sv. Ana) which stands on top of a hill at 484m. A church was originally erected here sometime in the 11th or 12th centuries, however, the church in its current form dates from 1883 when it was renovated in the Baroque style. It only takes around 30 mins to reach the church from the lake and it is well worth the effort for the panoramic views in all directions. 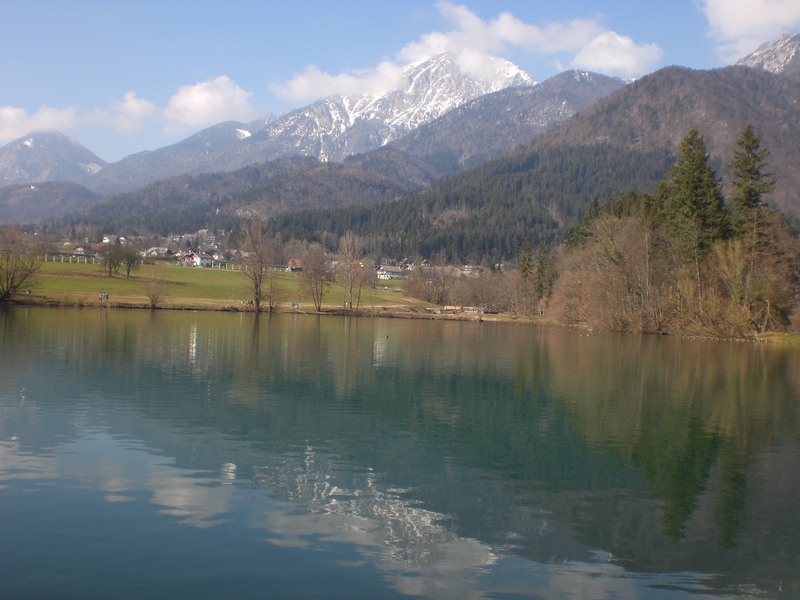 The lake is also one of the start points for the longer hike up to Krim (1107m) which is the highest point in the Ljubljana basin and is easily recognisable due to the attenae which stand atop it and is a popular hiking destination for those living in, and near, Ljubljana. When I visited it was a spring-like day and it was wonderful to see snowdrops coming into bloom as where I live they have yet to creep out of their winter slumber. Unfortunately, it was also very hazy and my amateur photos really didn’t capture any of the views so I’ll jsut post these 2 as a taster! The other lake I visited this weekend is somewhat larger and closer to home, the Black Lake (črno jezero) in Preddvor, in an idyllic setting at the foot of the Storžič and Zaplata mountains. The lake is a popular destination for a short stroll as well as being the starting point for many hikes in the surrounding hills and mountains. 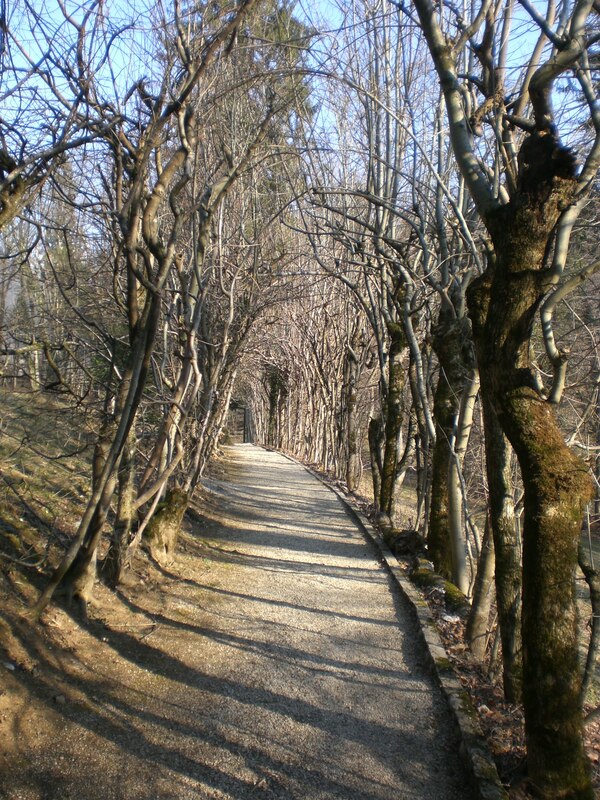 Next to the lake is the Bor Hotel and the 16th century Hill Castle (Grad Hrib); I also particularly like the tree-lined Castle Avenue (grajski drevored), as seen below, and can imagine many a romantic wedding photo being taken here. 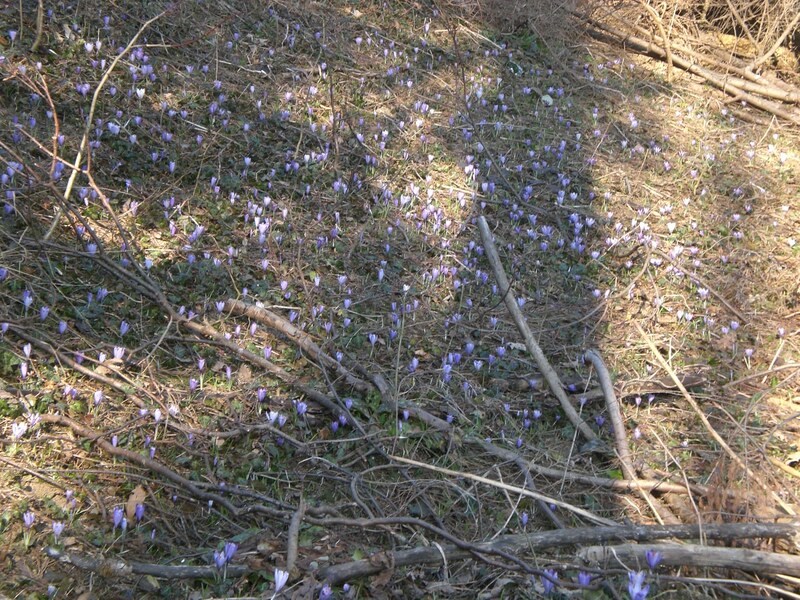 On the path in the woods just beyond the lake, there were hundreds of beautiful crocuses which are really a sight for sore eyes after months of seeing just snow and ice. It may look, from the photos above, as if there is very little snow remaining, however, these mountains are south facing and up to around the 1000m level, much of the snow has melted. However, in shaded and north facing areas, there is still snow at around the 700m level so caution, and a small pair of crampons, should definitely be in your rucksacks at this time of year when hiking. Nevertheless, meteorological spring has officially sprung and, despite this week colder temperatures and possible snow to ground level being forecast, spring is definitely on it’s way – hooray!